We are now offering custom inside ring engraving on any of the rings sold in our store! 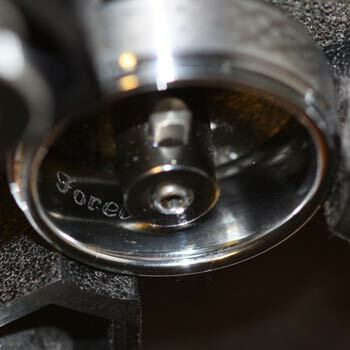 Tungsten ring engraving is very difficult and only a handful of machines are capable of engraving such a hard metal. Here is your chance to personalize your ring at a fraction of the cost of engraving at a retail outlet. 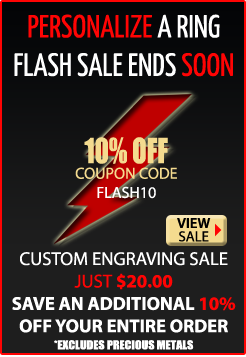 We can engrave your ring in about 1 business day, and this will not delay shipping. 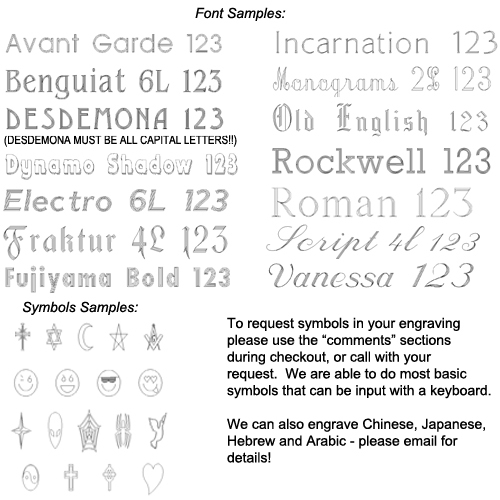 We can engrave up to 25 characters (including spaces), we can do more, but additional fees apply. This service can be done for just $24.95 (ON SALE FOR $20!) on all Tungsten, Titanium, and Cobalt Rings. Stainless Steel rings can be engraved now for just $15, and engraving on our hip flasks is free! You can elect to have your ring engraved before it is shipped to you, or you can have it engraved after you receive it to make sure your ring is perfect for you! NOW OFFERING OUTSIDE RING ENGRAVING! We now offer outside ring engraving on some rings as well. Most of our plain domed bands are simple to do, and you can simply add what you'd like to have engraved during checkout, and the price is the same as the inside ring engraving. Many of our other rings can be custom engraved on the outside as well. The cost on this is the same price as inside engraving. We also offer custom fonts - we can handle most true type fonts that you have on your computer, as well as hebrew, arabic, etc. If you're looking for a custom font please give us a call and we will assist you with your order. Above - Engraving in Progress Vanessa Font. All engraving is done on site. We are fully capable of engraving Tungsten and Titanium rings. If you have a ring you would like to send us for engraving that can be arranged as well, although an additional cost will apply. Generally all engravings are completed the same or next day. **Engraved rings cannot be exchanged under the 21 day satisfaction guarantee, although a claim can be made under the lifetime warranty. We can engrave your ring after you've received it if you want to ensure proper fit before having it personalized at your request.